mrkwr is a forumite who went on a ride with me and a few others on Saturday. His Gazelle is a racy road bike (I didn't know till I saw it that Gazelle made anything other than the sort of practical round town bike in the photo you posted). 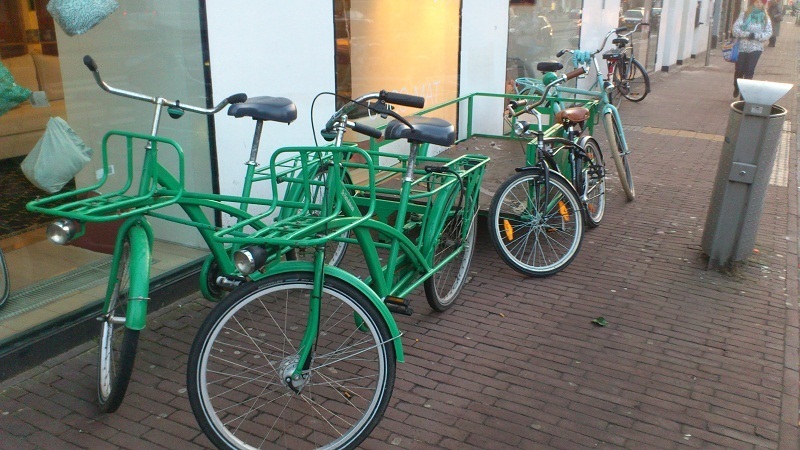 There have been several bike makers called Gazelle and more than 1 in the Netherlands. I didn't know that. I can only find one mentioned on Wiki, which says that Royal Dutch Gazelle is now owned by the same company as Cervelo - but that doesn't necessarily mean there aren't others, of course. Not unusual or interesting in and of itself, but this morning I saw a Willer chained to the railings at the top of Fish Street Hill. 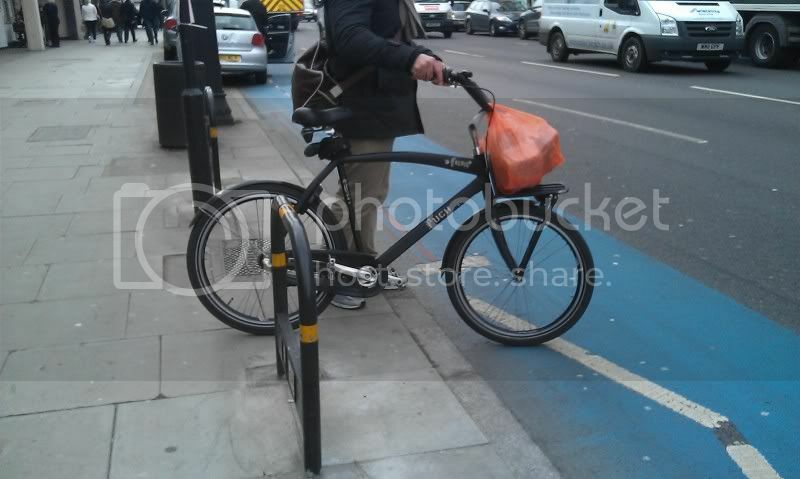 I've seen various types of bicycles locked up around the City, but never one of that calibre. 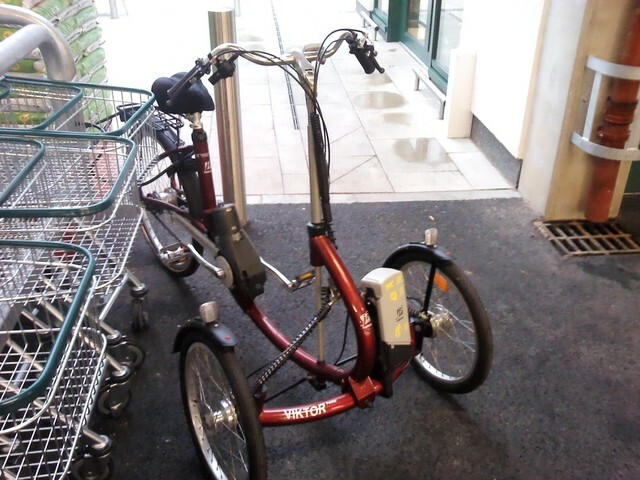 At the local auctions, a Trek 8000, which due to it's colour I suspect is a 2000. Shame about the HUGE dent in the top tube. Also an old, 531 framed, path racer (old style 26" wheels, VERY perished tyres, stem reverse and bars so low that your knees are above you ears when riding in the drops). The bike itself wasn't that interesting, just a 70s lugged frame of non-descript steel with 5-speed (and butterfly nuts on the wheels), but the name caught my attention - Louison Bobet. Having looked back at all the pictures in this thread, I don't think I came across a Pedersen, unless there is one in a link. Anyway here is a link to one. That kid's trike is certainly quite something. She looks as if she's enjoying it madly! also in Clapham, an odd-looking Puch, with very high bars. I can't copy the photo right now, I'm afraid. One of the bicycles I saw on my ride home earlier in the week rally caught my eye - it was the seat stays. Pulled up next to the cyclist at a set of lights, saw he was riding a red Harry Quinn (don't see many of those about) which looked a bit ... big. Asked the rider the size. 28"! That would explain why the seat stays caught my attention. An A S Gillott. Bright pink. You thought the Magenta Mercian was pink. Nah, this bike is pink. The sort of pink one might find on the pink end of the lipstick counter. It belonged to my late Father in Law, and I collected it from the police station this lunchtime. It's very pink. It's obviously been refurbished and jiggered around with. Straight bars with cheap bar top shifters. And a bright pink paint job. I saw a Reynolds 520 sticker on it, so nothing spectacular. I'll look for more details when I get home. Did I mention the colour? Pink. I saw a Reynolds 520 sticker on it, so nothing spectacular. Did I mention the colour? Pink. I think Reynolds 520 is cromoly. The 501 (also cromoly) frames they did were actually quite good if theey were the butted tubeset - same thickness and tensile strength as 531. And one from the AMS four-wheeled menagerie. ... this time with a trailer, but no apparent linkage between the steering on the two sides! Didn't see the owner, but the yellow marks on the battery pack denote a tally of cats, squirrels and old people successfully run over, which tells me everything I need to know. Reinvestigation reveals it is indeed 501 butted. And gorgeous lugwork, hidden under the PINK paint. I was going to comment that 520, a fairly recent recipe, was unlikely. And, ftr, 520 is a good tubeset, if a bit heavier than 531. 501 was considerably downmarket from 531 in its day, and bikes made with this tubeset were much cheaper. That is superb. What is it? 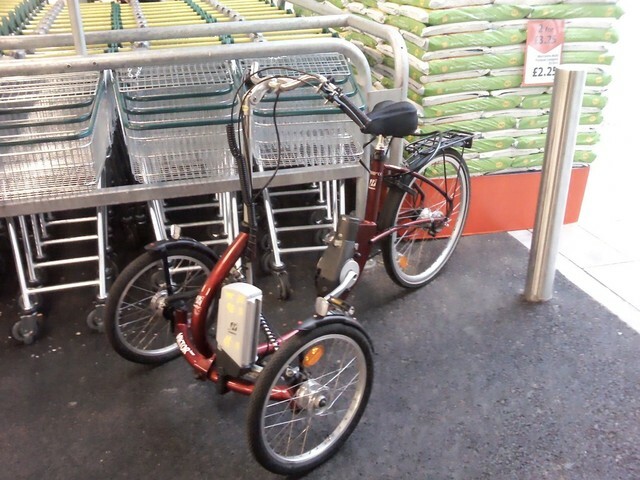 Hi Alexb, it is a Hasebike Trets trailer trike, pop the front wheel off and connect it as a trailer to back axle.